With the Christmas season now upon us, what better time to remind ourselves that Christmas is a time for giving? Regardless of your financial situation – it’s not about the money! – now is your opportunity to think about those around you and show them you care. But that’s not all. 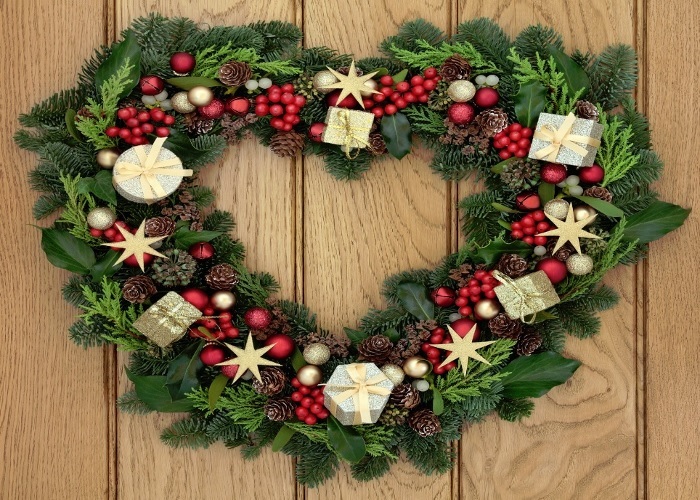 Charity begins at home, and in the often frantic weeks of preparation for the annual festivities, it’s all too easy to forget about your own needs. Be kind to yourself too. 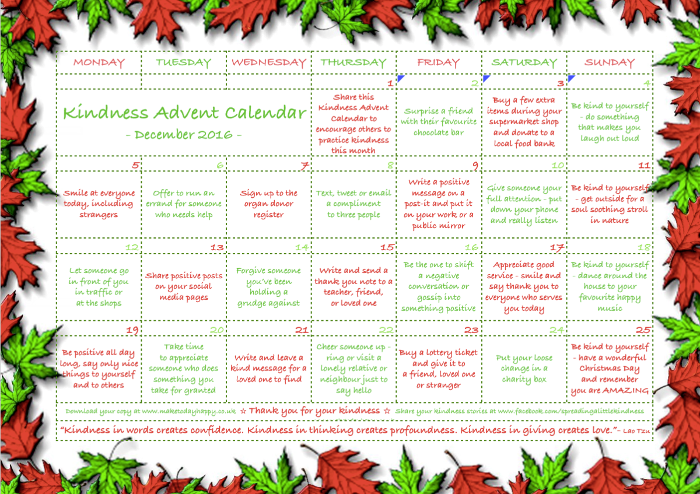 Why not use this handy Christmas Calendar to prompt yourself to perform acts of kindness every day? From donating essential foodstuffs to a local foodbank (3 December) to writing a positive message of affirmation to yourself (9th December), to smiling and thanking the checkout staff at your local supermarket (17th December), to buying a lottery ticket for a stranger (23rd December), there must be a million ways to make a positive contribution to your own and other people’s happiness. This month is the perfect chance to make a difference.